What’s better than going through the looking glass? Arriving in Wonderland and being able to play as a rabid version of Alice, for one. 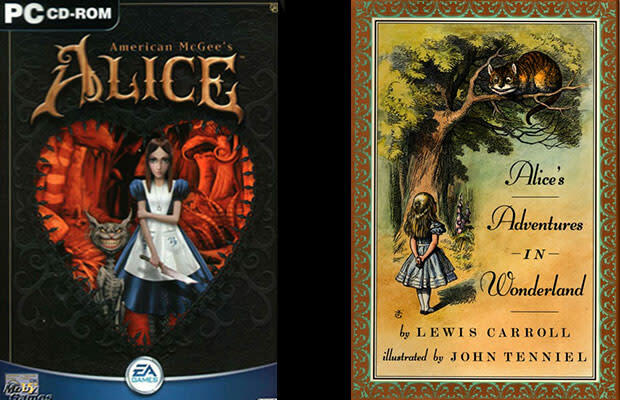 American McGee’s Alice took all of the beloved motifs from Alice in Wonderland and turned them on their head: Alice is an orphan who bounced around insane asylums, the Mad Hatter is (literally) mad and no longer loves tea parties, and The Cheshire Cat has turned into an anorexic feline straight out of 21 Jump Street. If that makes you curiouser and curiouser, consider peeping the game’s sequel, Alice: Madness Returns, this June—now with even more knife-wielding Alice!